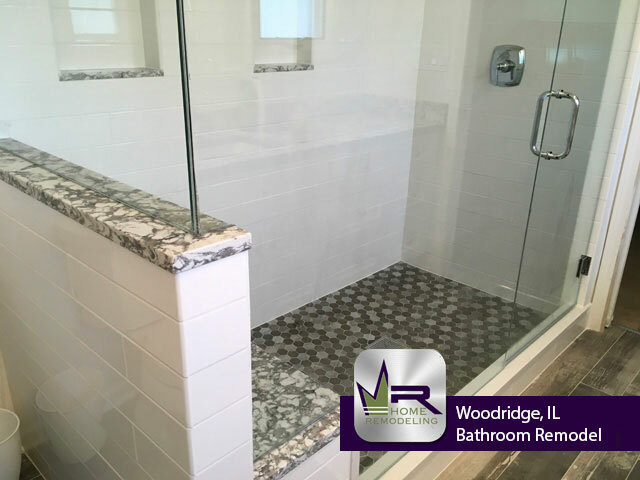 Woodridge is a south western suburb of Chicago located in DuPage County. 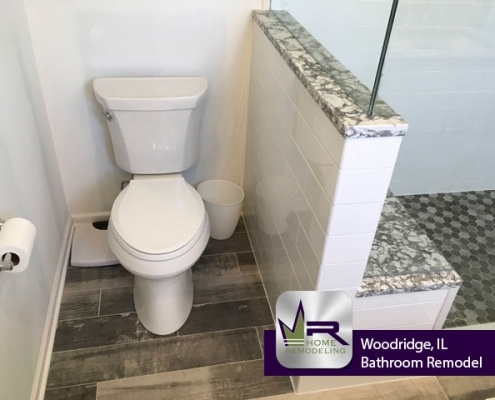 As of 2010, the population was just under 33,000 people, when the village was incorporated in 1959, less than 500 people resided in Woodridge. 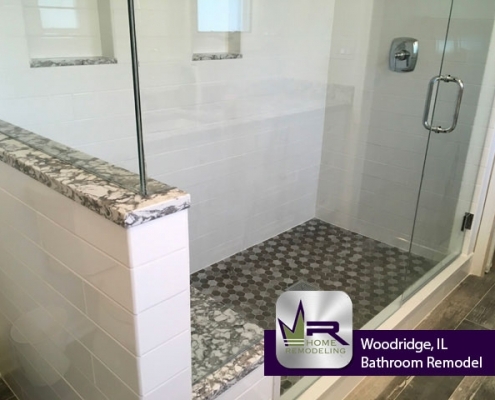 In 2007, Money magazine ranked Woodridge as number 61 of the “100 Best Places to Live”. 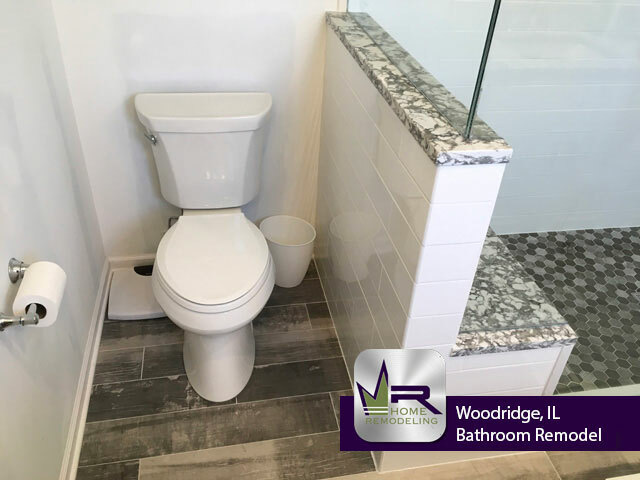 Six elementary schools and one junior high school are located directly in Woodridge providing education to the residents. 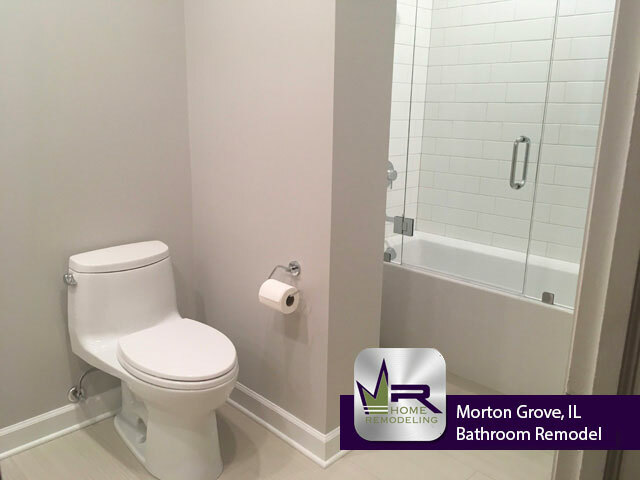 After junior high, students attend Downers Grove North or South high schools. 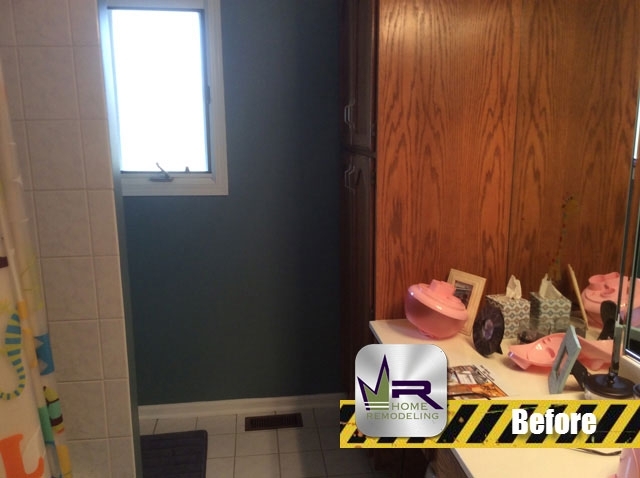 The owners of this home were ready to make some major changes to their bathroom. 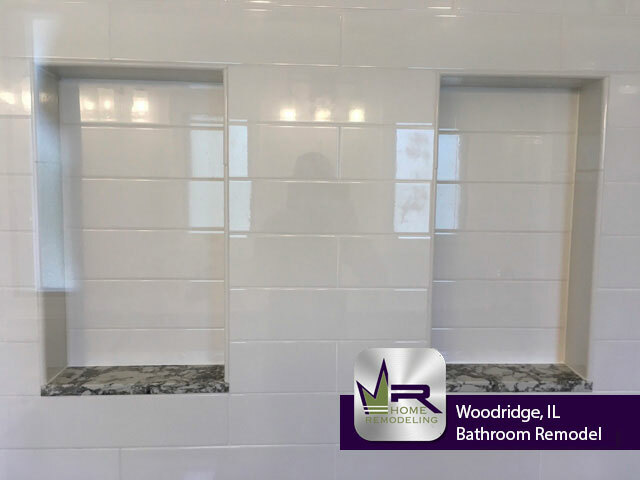 For starters, the overall appearance had become dull and boring to the customers so, they wanted Regency to create a space that would be in style for years on end. 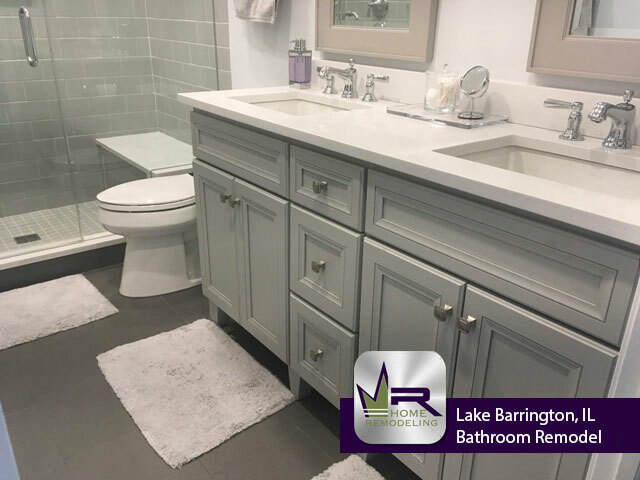 The goal of this renovation was to completely transform this bathroom space into a new area that would be much more enjoyable to use each and every day. 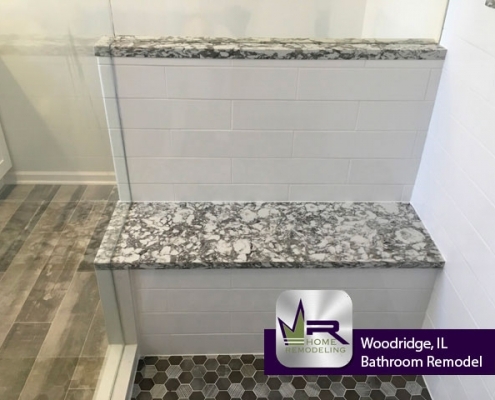 A space that the customers would look forward to using. 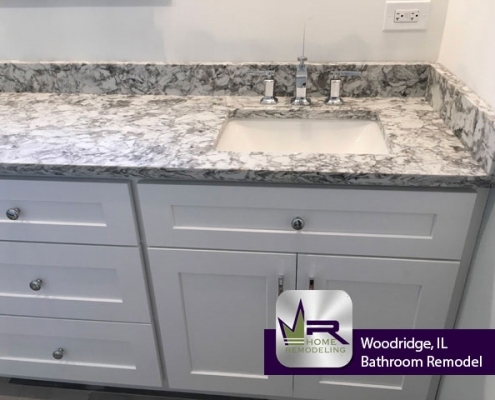 In order to make this possible, Regency would need to remove all current installations including the vanity, floor tiling, bathtub, lighting fixtures, and necessary electrical wiring. 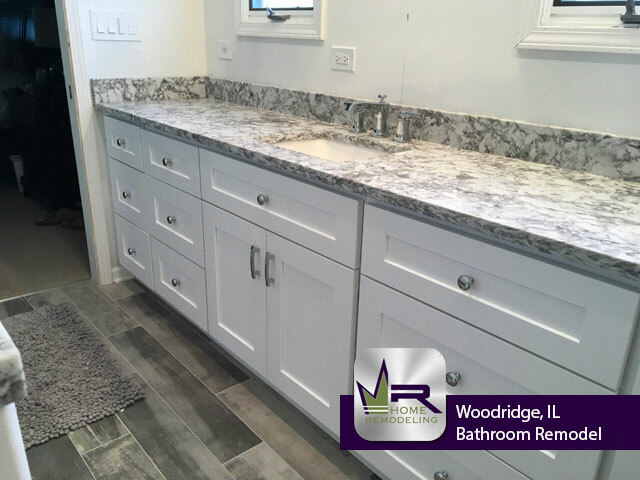 Regency went above and beyond the customers expectations and created the bathroom of their dreams. 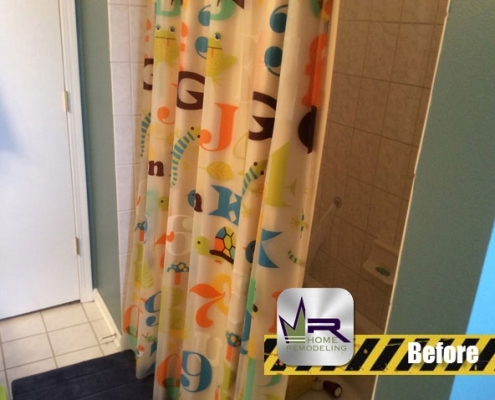 The most eye catching change is the overall style and color scheme. 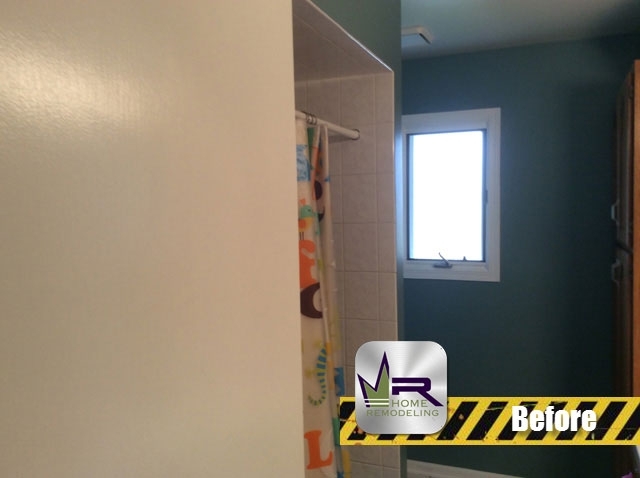 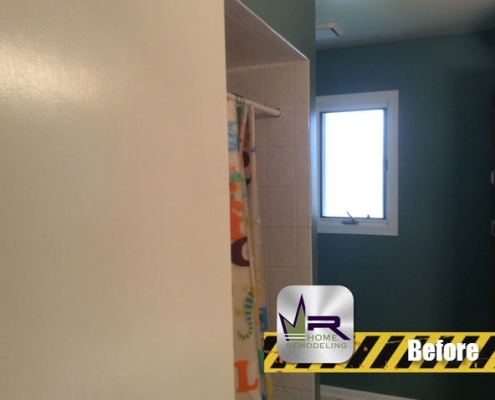 Regency transformed their dull bathroom to an elegant and sleek bathroom. 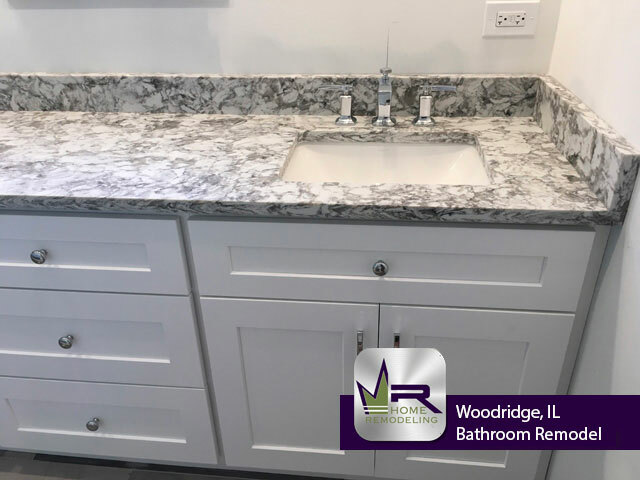 To do this, Regency installed a White Shaker Style vanity with a Cameo Pearl Quartz countertop, Yorkwood Manor floor tiling, Moselle Limestone shower floor tiling, and Elevare Lunar shower wall tiling. 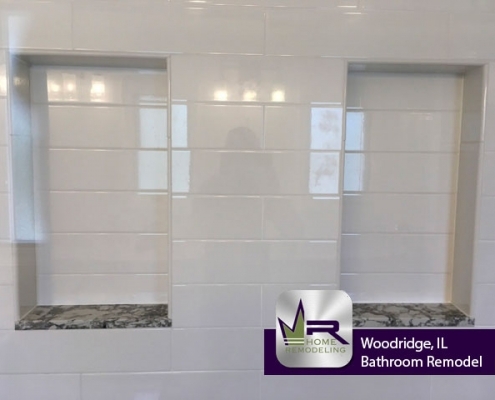 Each of these installations assist in creating a more luxurious bathroom. 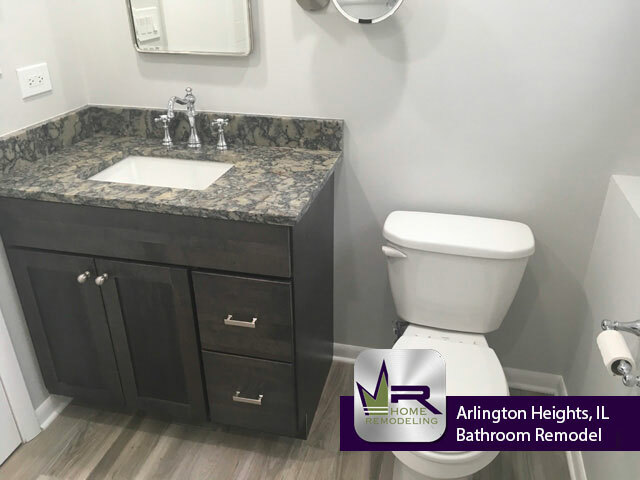 Overall, Regency did a fantastic job recreating this bathroom. 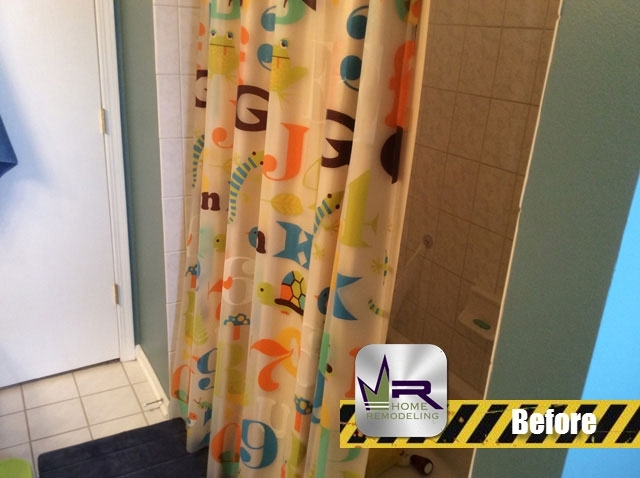 The customers are more than satisfied with their new bathroom that they will be able to enjoy for many years to come. 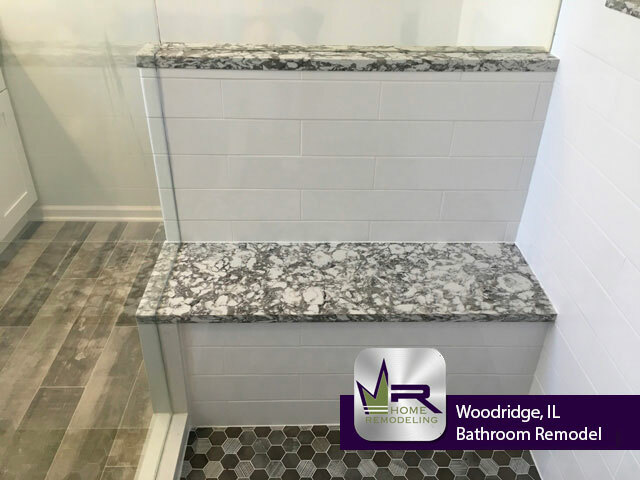 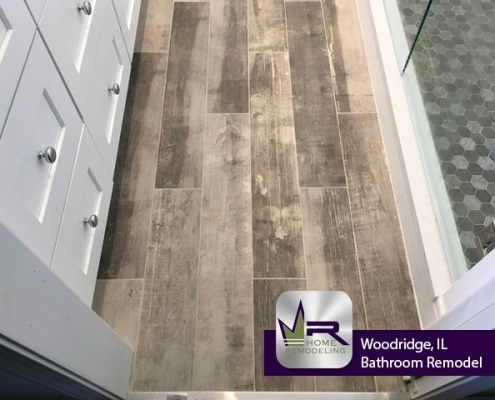 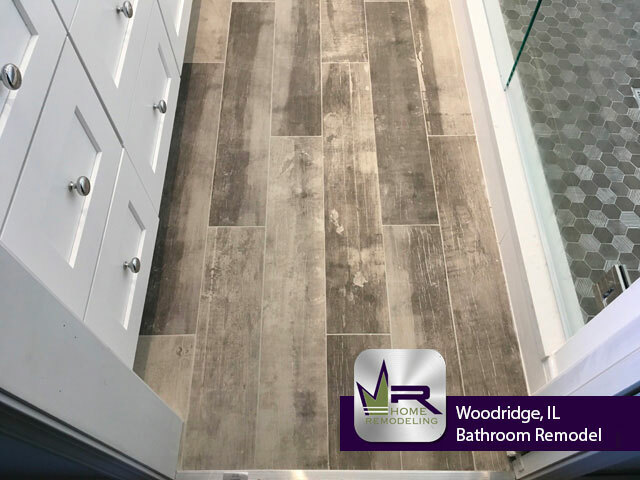 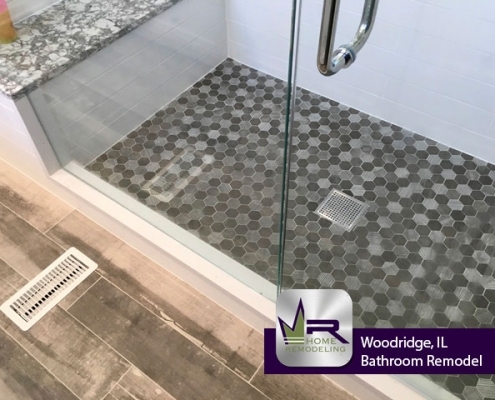 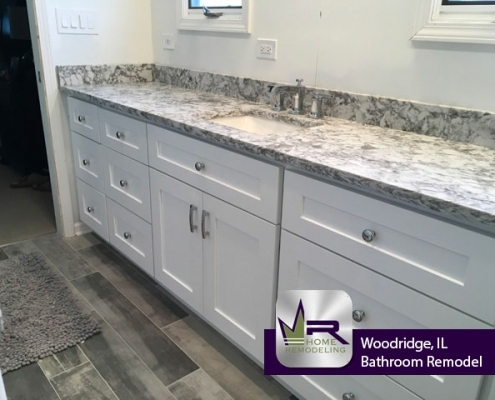 If you want a bathroom remodel in Woodridge, IL call the experts in home improvement, Regency Home Remodeling, at 1 (773) 930-4465.